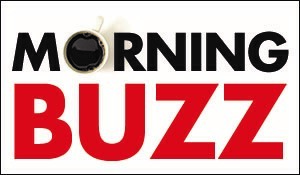 Snowfall might not be on the radar for Houston this year — or anytime in the near future. 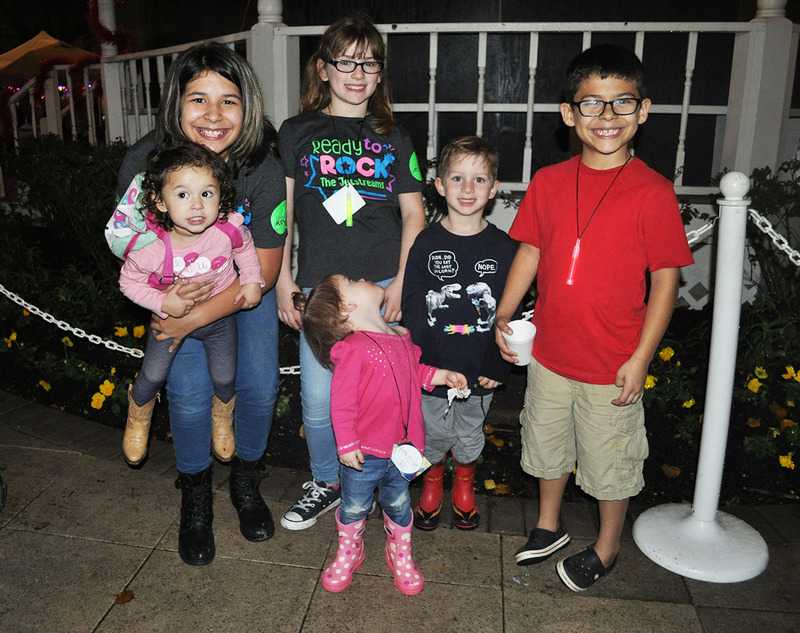 But Houstonians still had a chance to make snow angels and ride down snow slides on Thursday evening during the 31st annual Bellaire Holiday in the Park event. 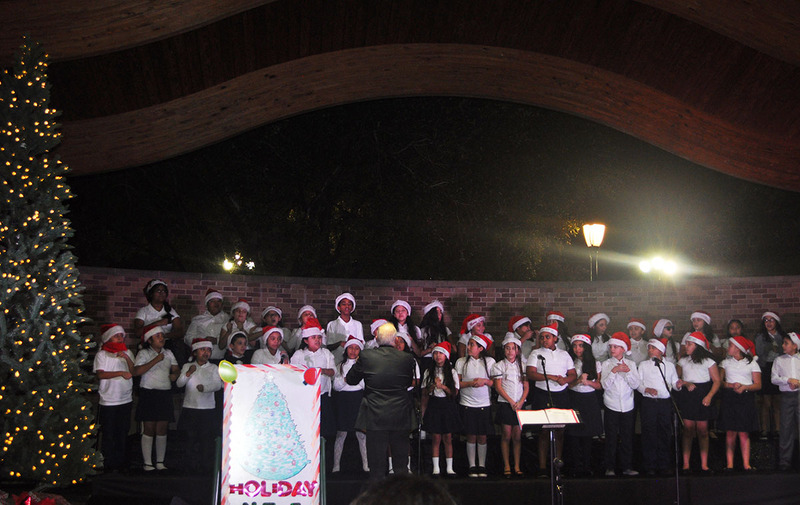 Held in the Bellaire Town Square, the festivities began with an address from Bellaire Mayor Andrew Friedberg, who also welcomed Santa to the stage. 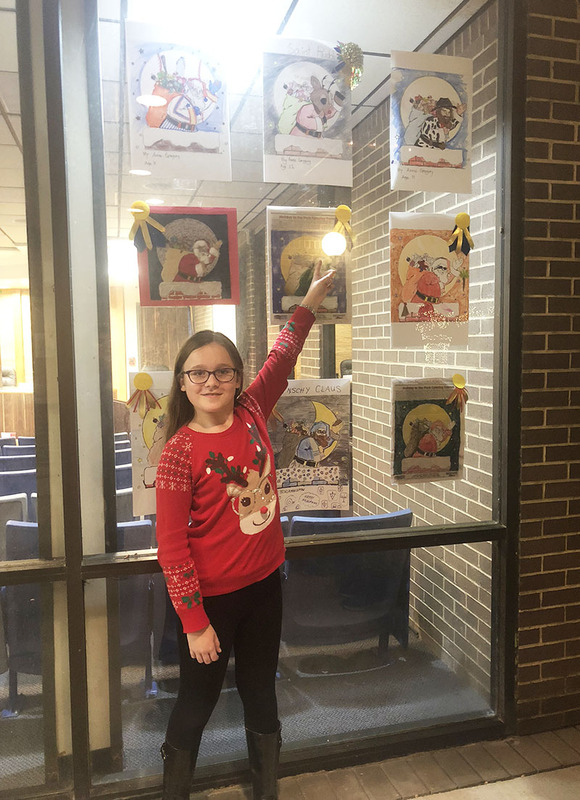 The winners of the annual coloring contest were then announced, and grand prize winner Anna Gregory, 11, was invited to help perform the official Christmas tree lighting ceremony. 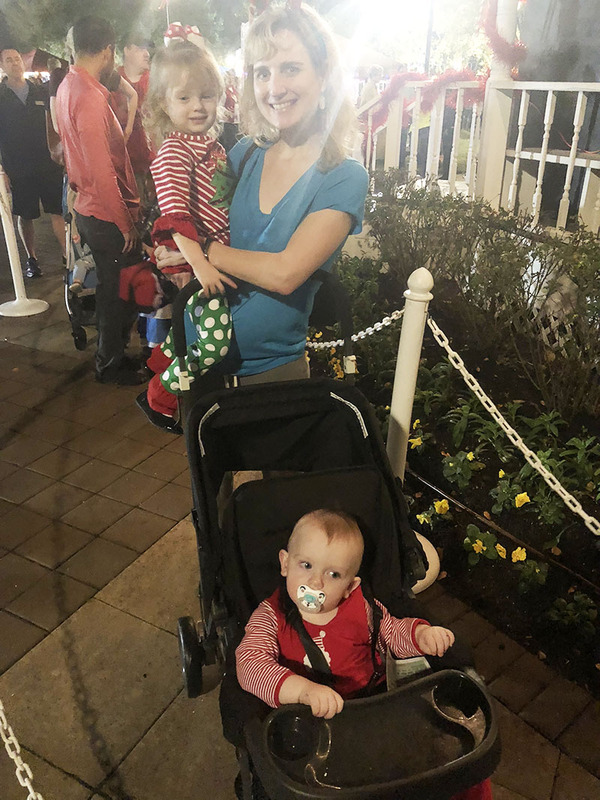 The crowd counted down: “10, 9, 8…3, 2, 1” at which point Anna flipped a switch to light the tree in front of a cheering crowd of families and children. 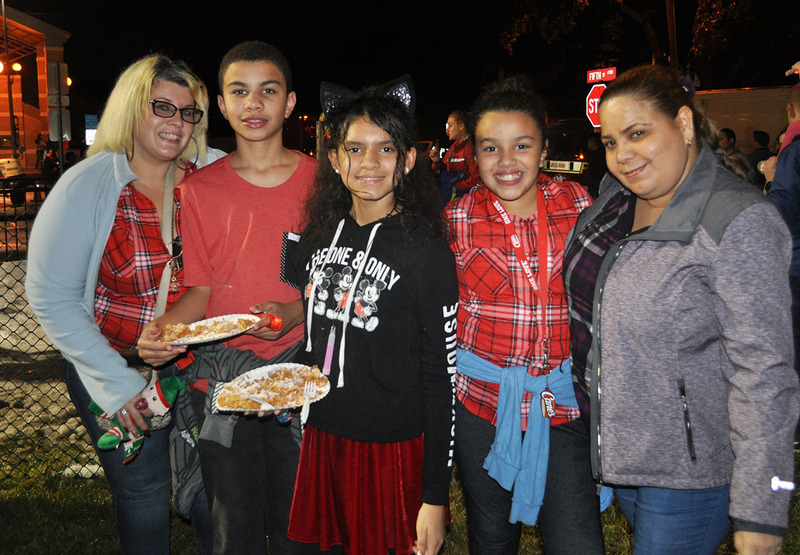 Throughout the rest of the evening, various school choirs sang holiday music on stage while residents wandered throughout the park, stopping at arts and crafts booths and munching on carnival staples such as popcorn and funnel cakes. 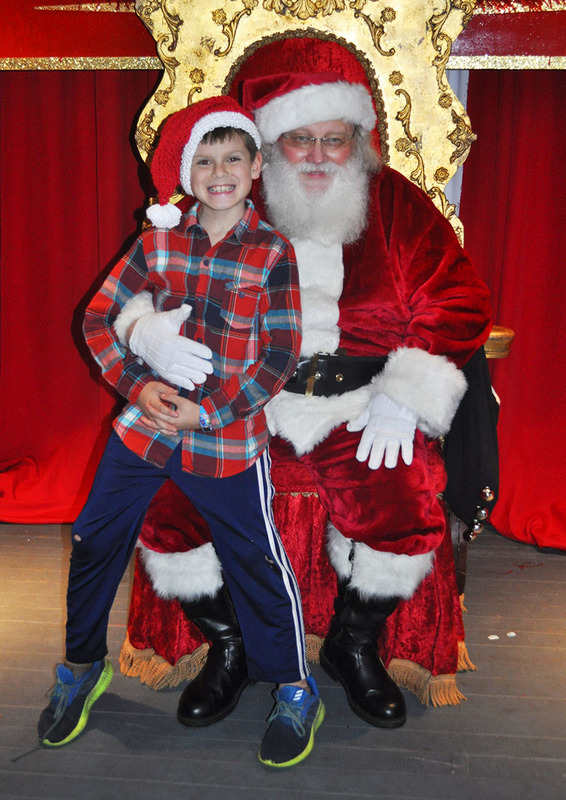 For the duration of the event, a long line of families and kids wrapped around the gazebo, where Santa sat in a throne patiently listening to children’s Christmas wish-lists and posing for pictures. 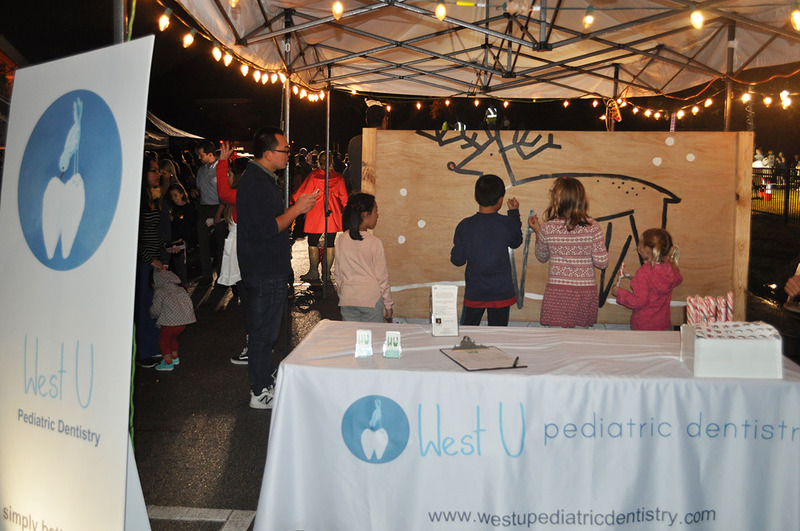 Next to the gazebo were a number of booths hosted by local organizations. 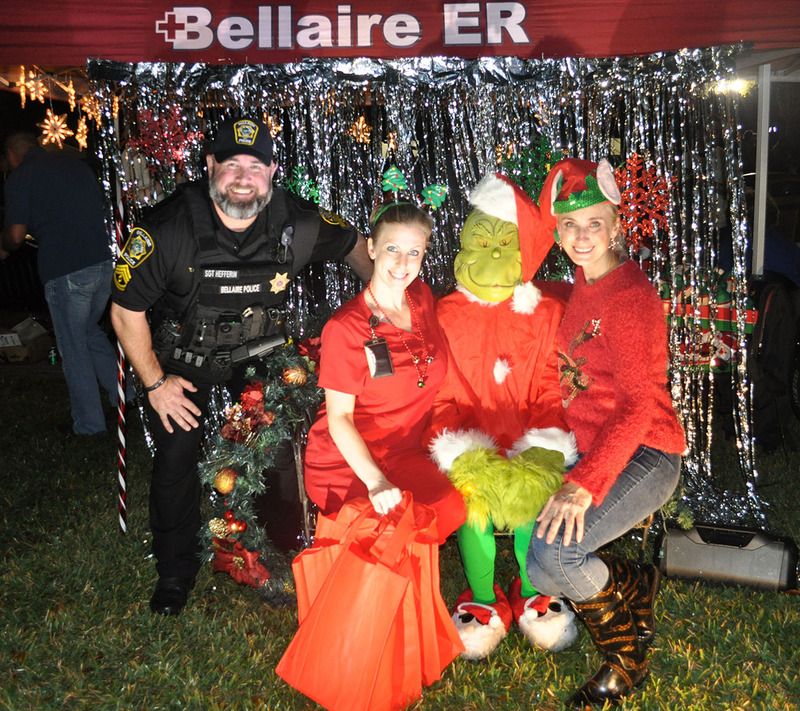 The Bellaire ER, for example, had a highly-trafficked booth where they handed out free tote bags and offered attendees a chance to pose for a picture with The Grinch. 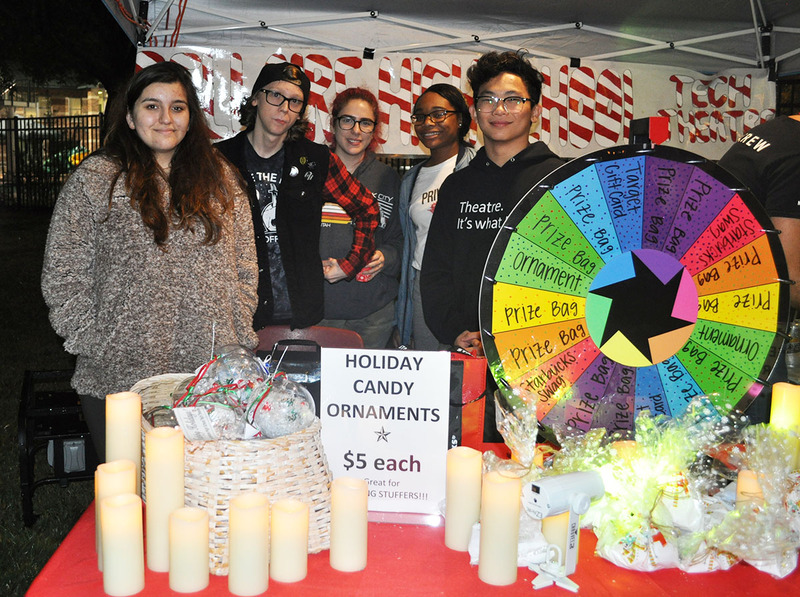 A few feet away, Bellaire High School students helped manage a booth where they sold hand-made holiday candy ornaments. 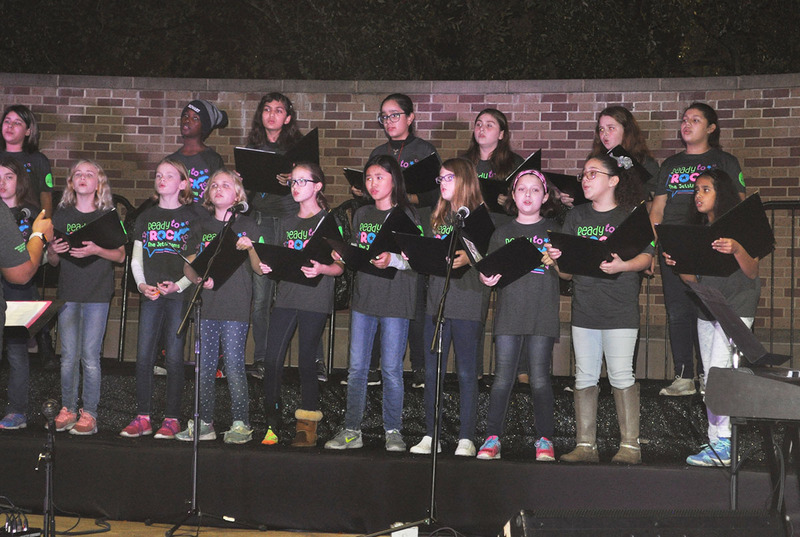 The students said the set-up was part of a larger effort to fundraise for the school’s theater tech program. 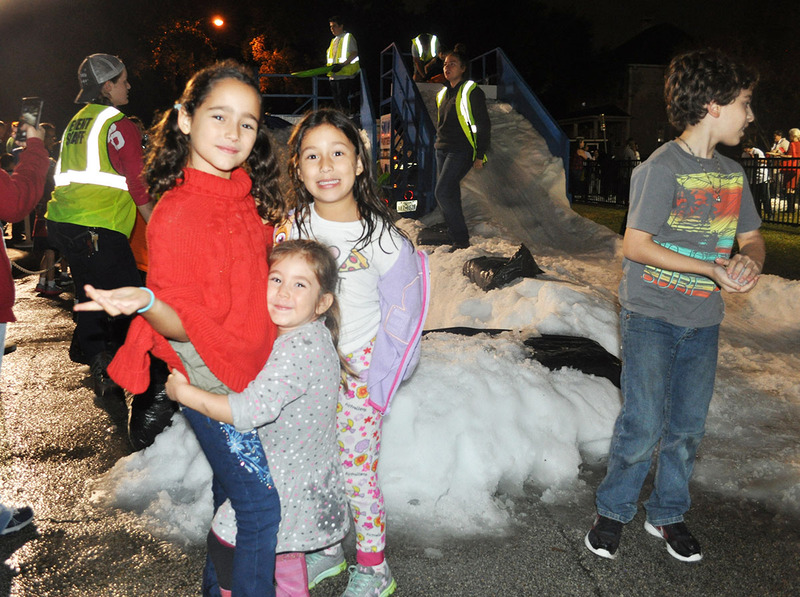 When asked what their favorite part of the event was, nearly all the kids pointed to the snow slides, a novelty for most kids here in Houston. 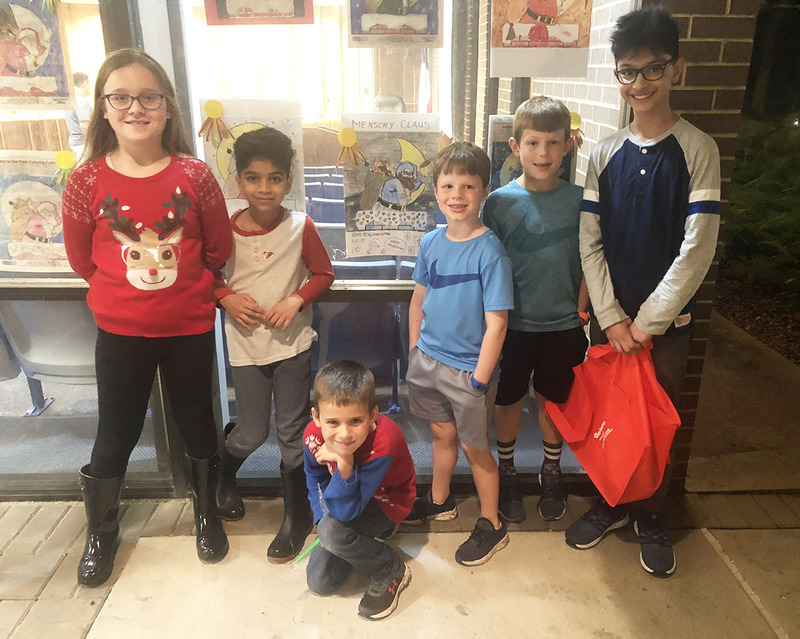 For anyone who missed the event, check out our holiday happenings listing to find out about other holiday festivities this month! And see our event calendar here for all upcoming events.